For anyone wanting to start a yoga practice or go back to the basics, this series is for you. You’ll learn basic postures and breathing techniques as well as what makes yoga, yoga. Plus, we’ll talk about how to modify postures for your unique, individual body so yoga can work for you. This will be an interactive class with plenty of time for questions and discussion each week. We have two more months of evening classes before the summer schedule! 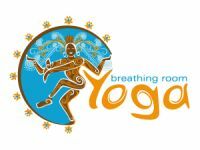 Come Join Amy on Mondays for Restorative and Shannan on Tuesdays for Hot Yoga! We will be posting events/updates/etc throughout the month! !